Though our regular customers know that we can be less than formal, we do get serious when it comes to our work. We understand that your truck, 4×4, ATV, motorcycle, or tractor is important to you. So, it’s important to us. We haven’t become the Northwest’s favorite LINE-X dealer by not recognizing that fact and we pull out all the stops when it comes to how we treat your vehicle and equipment. 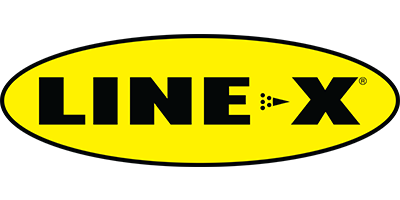 Family-owned and operated since the day we opened our first store in 2006, LINE-X INW is staffed by a hand-selected group of some of the region’s best protective coating application experts. As truck and car enthusiasts, we utilize our extensive experience and add a touch of passion to deliver the superior results our customers were hoping for. Our craftsmanship and attention to detail are what brings our customers back again and again. From truck wheels to tractor seats, Line-X coatings resist chips, scratches, dents and dings, are impervious to water, mold, UV rays, and rust. We serve the communities of Spokane, Washington, and Coeur d’Alene, Idaho. LINE-X INW is the choice of your truck-loving friends and hard-working buddies. Find out why by scheduling your project estimate now.